Are Biometric Pistol Safes Worth it? Where Should You Put a Safe? Does Color Matter When Purchasing A Safe? More Than One Safe – Is It Necessary? How Safe Are Digital Wall Safes? Helping you stay safe and secure. The LockState LS-30D Digital Fireproof Safe is a great addition to securing your valuables at home. LockState are known for building cheap in price safes that are near the top of rankings for stability and resistance to any outside forces trying to get in. Highly rated across the web, the team at TossTheKey decided to take an in-depth look at the safe. We will be going over all of the pros, as well as the cons of the safe. The LS-30D Digital Safe is UL rated. Which means that it has been thoroughly tested and determined to meet the UL’s requirements and standards for fire protection safety. The safe has a 1 hour fire rating. Which means it will protect your valuable items from any fire incidents that may occur. It is able to withstand temperatures of up to 1800 degrees Fahrenheit. A quick search on the web will tell you that the average house fire blazes around 1100 degrees Fahrenheit. Meaning that in the average house fire, the LS-30D will hold its own for a lot longer than 1 hour. The LS-30D Digital Safe allows you to not have to worry about your valuables when you leave your house. It features an electronic keypad. Making entry hassle free compared to most combination locks. The keypad requires a 3-6 digit code to make sure there is no unauthorized access to your personal possessions. It also features a 5 minute hold after four incorrect tries to make sure the safe is not tampered with. The dual locking bolts solidify the safe against all attacks. Power tools will have an incredibly difficult time getting past this line of defense. The one downside to protecting against burglars is the safe is fairly light. Weighing in a 18.6 pounds, the safe can be easily moved by almost anyone. With that being said, it is recommended you put it out of sight. Such as in a cupboard, or underneath your bed. This is more than enough space to store your valuables. We at zero issue storing, jewlery, money and other valuables when testing. Included with this unit is a 1 year warranty. Should the safe suffer damage which is covered under the warranty, you will receive a replacement for free. Two backup/override keys are included. This is to make sure you are never locked out. The LS-30D Digital Safe has a solid, all-steel construction. The stationary locking bolt will keep your possession safe from prying hands and the solid steel locking bolts will offer extra protection. As stated above, the unit is quite light. To counter this LockState has included a bolt-down, anchoring system that ensures the safe stays put. Some customers on Amazon have reported the safe is not good for gun storage. While to most people it is common sense to not store guns in a safe not made for guns, we will re-iterate it anyway. This safe is not meant to hold your guns, and should only be used to store your tangible valuables. With the LockState LS-30D Digital Fireproof Safe, you be sure that your inherited or purchased valuables are not going anywhere. 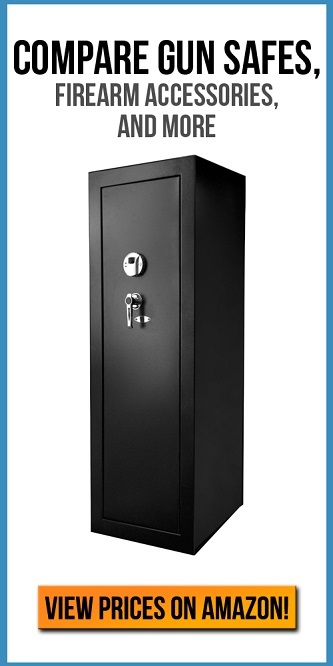 LockState is a leading provider of commercial and residential safes. Striving to provide the best security for your needs. This safe will not let you down and is a quality addition to you home security and well worth the money. With this unit, you are prepared for anything and everything. TossTheKey © 2018. All Rights Reserved.